In 1859, in the Origin of Species, English naturalist Charles Darwin introduced his masterpiece: The Theory of Evolution. Some species have features such that their specimens have more chances to survive long enough to reproduce. Such species are called fitter. They are more likely to survive. While unfit species would die as they didn’t manage to reproduce in sufficient number, fitter species had better chances to survive. So according to Darwin, there should have been extinct species. Yes. His discovery of fossils of giant mammals in South America corroborated his reasonings. So evolution theory is all about probabilities? If you pick randomly a married couple on Earth, then the fact that they both have black hair is probabilistic. It’s not highly likely nor highly unlikely. However, if you pick randomly 1,000,000 married couples, then the odds of a married couple among them both having black hair is so high that it’s almost a sure event. Therefore, the fact that one of the children of the million of married couples has a black hair is almost non probabilistic. The evolution of species follow the same pattern. A fit species is more likely to survive, but its survival is only probabilistic and far from guaranteed. But if there are millions of fit species of the same species, the likelihood of the fit species to survive is so high, that it’s almost a sure event. On the opposite, unfit species are all so likely to not reproduce that, even if they are in high number, their disappearing along millions of years can be considered as a sure event. Mathematically, a great way to understand these patterns is through evolutionary game theory. This sounds good, but can natural selection be observed? Darwin observed the aftermath of natural selection. In particular, as he was still a young collector of animals and plants in his 20s, he undertook a 5-year-long thrilling journey around the world. This spectacular trip was the genesis of all of his reasonings. During it, he was highly intrigued by the 13 species of finches of the Galapagos islands. Among other visual differences, he observed two very different forms of beaks. Indeed. I’m not arguing against creationism here. I’m showing you how to understand Darwin’s theory. So how should we understand the correlation between locations of finches and food available with Darwin’s theory? According to Darwin, finches from South America arrived one day on the Galapagos islands. At that time they were all quite similar. However, on islands with nuts, finches which underwent variations that gave them small strong beaks were fitter, and reproduced in high numbers, while other finches were less fit and disappeared. Eventually, on these islands, only finches with small strong beaks were left. I get it! But can this reasoning be applied to all species? That’s what Charles Darwin assumed. Modern science now observes it for bacterias and viruses. As they reproduce themselves very quickly, evolution is very fast for them, and we can actually trace it. Imagine you take some drug to eliminate a species of bacterias in your body. You may kill most of the bacterias, but a fraction of these bacterias may slightly differ from most of them. This slight difference may make them fit enough to survive to the drug. Now, the empty space left by killed bacterias will make this fraction of bacterias develop more rapidly. At this point, bacterias in your body will almost all be fit to survive the drug. The drug will therefore become useless. This phenomenon is called resistance. It’s also often called adaptation. I don’t like this terminology, because it sounds like an intelligent reaction of bacterias to face the drug. Life evolution and natural selection are key assumptions to explain the extraordinary diversity of life. There are also reasonable assumptions, strongly based on observation. But the study of embryos took Darwin one step further. Darwin noticed that human embryos looked similar to embryo fishes. This led Darwin to believe that animals on land came from fishes. This was a huge criticism which was made to Darwin’s theory. Over a century later, scientists have addressed a new assumption: species can be drastically transformed. In particular, they claim that a slight modification at the embryo stage could make a dramatic difference. In fact, Darwin’s theory would definitely not have been so popular among scientists, had modern science not found elements to support this huge assumption. Well, first, I need to talk about DNA and RNA. They are long complex molecules which are located in our cells. They have a beautiful single or double helix structure, with smaller molecules linking these helices. In fact, these smaller molecules can be 4 molecules possible, which are designated by letters A, C, G and T (U for the RNA). I know biologists are fascinated by the fact that life is only written with 4 letters. Personally, I find this puzzling, as I would have rather expected it to be written with bits… Find outsc what I’m hinting at with my article on Shannon’s information theory. Now, you have to imagine that the DNA corresponds to a succession of millions or billions of these letters. That’s more than a huge software like Microsoft Windows. In particular, the number of combinations of these letters is astonishingly enormous (a ten followed by billions of zeros), way way way more than the number of particles in the Universe (which is a ten followed by “only” 87 zeros). This shows how unlikely it is for two humans to look alike. Inside the enormous DNA code of an ape, some portions called genes code the form of its ears, feet and tail. An amazing discovery is the one of other portions called switching genes, which allow or prevent some other genes to be run. For a switching gene to prevent a DNA portion from running, it needs to be complete. Yet, it’s possible that the mother has half of this switching gene for the gene coding for the tail, while the father has the other half. None of them has a complete switching gene, but their child’s switching gene, which is a mix of its parents’, may be complete. This means that two apes with tails could reproduce and have a child without tail! This shows the possibility of sudden major changes. OK, but in these processes, the number of letters of the DNA is constant, right? How can we have ended up with so many letters? There’s another phenomenon which can make new genes in a child: genetic mutations. It has been shown that, as the cells reproduce themselves, mistakes can occur on the DNA. As a result, more letters can be added to the DNA, or can disappear. Even worse, a DNA molecule can break in 2, or two DNA molecules could be joint together, as it’s assumed to have occur in human evolution from apes (we’ll get to this later). OK… But switching genes explain how whales may lose their feet, but not how a fish can get legs! Another sort of key genes has been found which can explain this: hox genes. 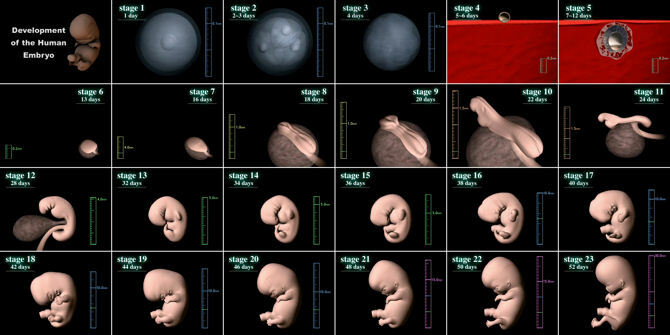 As the embryo develops, hox genes define how. It can lead to the growth of some bones before others rather than the other way around. This can totally mess up the appearance of the new-born. In laboratory, scientists have created fruit flies with 4 wings, a mouse with a huge ear on its back and a tortoise with two heads, by slight modifications of these hox genes. The key feature of switching and hox genes is that they have chaotic consequences, as small variations on the DNA in them may result in enormous variation on the animal. Learn more with Scott’s articles (part 1, part 2). But you have to imagine that they are billions of reproductions of these species every year or more, and that the species have been out there for billions of years. The probability that impressive advantageous modifications have occurred during this long period might end up being high! The probabilities are so extremely low and the number of events so extremely high that it’s hard to figure out how things actually work. Calculations are so approximative that they can hardly confirm or refute Darwin’s theory. I’ll develop that when we get to abiogenesis. As Darwin studied more and more animals, he made an extremely intriguing observation. Species share plenty of similarities! Darwin was also stunned by the extend of similarities between humans and gorillas. He even wrote about comparisons between young apes and his young children. But that’s not all. Birds around the world have beaks. Large animals almost all have 4 legs. Animals and plants have male and female reproductive parts. Species are similar indeed… but what can we deduce from that? Well, the symmetries between species led Darwin to postulate that there is a basis on which all life is built from. Some people propose that this basis is God or some intelligent design. But that’s not what Darwin suggests, is it? No. To explain this, Darwin made his most beautiful assumption: all species are related through the tree of life. A tree of life? What do you mean? This means that there is a common ancestor for all species. Now, in time, this common ancestor creates different species. These intermediate species correspond to new branches of the tree of life. Eventually, after many branching, we find leaves, which correspond to existing species. Indeed. These are dead-end. Species along these dead-end branches don’t have any remaining descendant. So all species are related… Aren’t some more related than others? Yes. For any two species, the paths in the tree of life from the root to the two species start similarly. At some point the paths separate. This point corresponds to the most recent common ancestor between the two species. Now, according to Darwin, the more two species are similar, the more recent is this most recent common ancestor, and the more the paths are similar. Wouldn’t it be easier to assume a forest of life, that is, several origins of species, as creationists do? Indeed. But then you’d have to explain why several different forms of life have appeared. The assumption of the tree of life is the hardest to prove, but it’s a major one because it enables to explain life without any supernatural event. It’s a beautiful assumption because it is simple, explains a lot and unifies all life into a single concept. Why is unification important to you? This aim for unification is extremely appealing for scientists, like Newton’s unification of the falling of apples and the orbits of planets, Maxwell’s unification of electricity and magnetism, special relativity’s unification of space and time, general relativity’s unification of gravity and acceleration, quantum theory’s unification of particles and waves, standard model’s unification of particles and forces and string theory’s unification of all particles and forces. The point of unification is to avoid having plenty of unexplained parameters in the Universe. As he raised his children, Charles Darwin noticed they didn’t differ that much chimpanzees. This led him to the most controversial assumption: Humans evolved from apes. Indeed. Some main religions claim that humans have been created by the Hand of God, who have designed them in his own image. These religions also claim that humans play a very specific role in the universe, which sounds contradictory with the fact that we’re nothing more than an evolution of life, and are, in that sense, not more special than any other life. But I don’t see the contradiction, nor does Connor Cunningham, a Christian evolutionist. Assuming that humans evolved from apes is not really an assumption in Darwin’s theory. It’s rather a consequence of the assumption of the tree of life. However, because it is controversial, it took a major place in debates around the theory of evolution. That’s why so many people have tried to confirm or refute it. So where have their inquires led to? What’s interesting to notice is that the theory of evolution predicts the emergence of intelligent life at some point. Indeed, as species involve, by accident, some will have intelligence at some point. This intelligence makes intelligent species fit. Thus, they develop and dominates nature. Yet, there’s a question I cannot answer with Darwin’s theory. Why is there such a big gap between intelligence of humans and the second most intelligent species? Why did intermediate species like homo habilis and homo erectus disappear, when their intelligence should have made them fit? Learn more about human evolution with this video from SciShow. Also, if you do have an answer, please tell me! But what did life evolve from? What’s the root of the tree of life? Assuming that species can be drastically modified naturally led Darwin to assume that life has evolved from its simplest form. 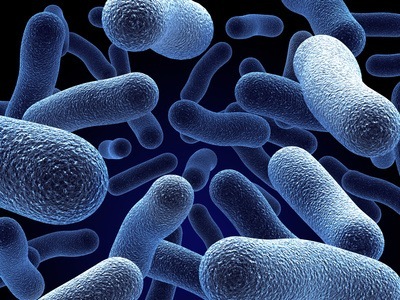 This means that the root of the tree of life was the simplest bacteria there is. OK, but let’s assume that life has evolved from its simplest form… Where does this simplest form come from? If you consider that life has evolved from its simplest form, you can then imagine that life appeared on its own, out of some chemical reactions. This is known as abiogenesis. This matter is not discussed in Darwin’s book, although it seems that Darwin actually believed so. This is the craziest hypothesis, which is probably the weakest point of Darwin’s theory of evolution. Can scientists now prove this assumption? They believe that 3.5 billion years ago, the Earth was totally flooded by ocean, which was a “soup” where plenty of chemical reactions took place. It has been experimentally shown that certain compositions of this soup would produce amino acids, which are the building blocks of life. Experiments are made difficult by the fact that, although basic ingredients are here, they still need to be combined the right way, with the right recipe. Two of the letters of the RNA have then been produced. Are you saying that abiogenesis may be highly unlikely? Hehe… Yes it is. I mean, if you do an experiment the chance of obtaining life will certainly be highly unlikely. However, it is not nil. Now, imagine you carried the experiment a sufficiently high number of times, maybe billions of billions of billions of billions of times. Then, the probability that one experiment will end up producing life may no longer negligible. It may actually be extremely close to 1. Now, in nature, these bricks may have been produced all over the planet, in every inch of the ocean, for hundreds of millions of years. Now, this corresponds to more than billions of billions of billions of billions of billions of experiments (1045). The probability that life emerged out of that may well be close to 1. Let’s recapitulate Darwin’s key assumptions. He postulated that life evolves by natural selection. Species can undergo drastic transformation, as they have all evolved from the simplest species in the tree of life, including humans who evolved from apes. This simplest species has appeared on its own. It could be possible that some of these assumptions were falsified. It wouldn’t mean that the whole theory of evolution would be wrong. It does sound like Darwin’s theory is very solid and supported by plenty of observations. Can’t we consider it as a fact? I strongly recommend you to watch this presentation by Dr. Kent Hovind. If you can’t refute every single argument he makes (try, it’s good exercise), then you’ll have to admit that the grand theory of evolution can’t be called a fact. In fact, an interesting point raised by Hovind is how science books present so many theories and call them fact without rigorous justifications. This is the opposite of what science should be about. Questioning is what has led to major theories. And I believe that it’s tremendously important to question Darwin’s theory as well. Once again, it’s just a theory. Also, if you too are highly irritated by Hovind’s arrogance and sarcasm, then imagine what it’s like to be explained Darwin’s theory by sarcastic evolutionists. That’s no way of doing science. That’s why, for instance, I strongly disagree with Richard Dawkin’s ways of discrediting rival theories. Now, to refute Hovind’s videos, check these video about radiometric dating and ten arguments for creationism refuted. And if you believe in creation, I strongly recommend you to watch this video of Neil Tyson that explains how assuming intelligent design is similar to giving up curiosity. OK, but the large majority of the scientific community takes it as a fact, doesn’t it? I guess so. But just because Charles Darwin has had some of the greatest ideas of all time doesn’t mean that he’s right. Modern science tells us that he seems to have made some falsified assumptions in his book, like the fact that intelligence is only a measure of degree. Just like other brilliant minds like Newton or Einstein, he has made mistakes. And so has the scientific community which, for instance, has long considered Newton’s theory as a fact. What I mean to say is that arguments of authority prove nothing. At best, they hint at something. You should look at enough evidence both for and against to make up your own mind. That’s what science really is about. OK, but once I’ll have gathered enough evidence, I may be able to consider it as a fact, right? Well, I have seen a lot of documentaries, and I feel reasonings are too complicated for me to guarantee it is a fact. Plus, according to epistemology and falsifiability in particular, Darwin’s theory isn’t wrong until proven so. But it’s not really a fact. Now, a more interesting answer to your question can be given by model-dependent realism, a new concept of epistemology introduced by Hawking and Mlodinov in 2010 in The Grand Design. According to this, we can say that Darwin’s theory is an accurate theory for observations made so far. It may not be accurate for observations we’ll make in the future. But, as opposed to falsifiability, model-dependent realism enables to distinguish it from rival theories by its usefulness. Another reason why Darwin’s theory is so popular among scientists is because its simplicity makes it much more beautiful from their perspective. It’s wonderful how a small set of very simple hypothesis can imply the extraordinary complexity of today’s biodiversity. However, don’t be fooled by the simplicity of the hypotheses: Actually applying them to predict evolution is a nightmare, mainly because it involves extremely large and small numbers, which we cannot evaluate nor conceive. Plus, beauty is confusing. In order to save beauty, we may end up defending something wrong. In fact, it’s a common biased assumption in the scientific community that the laws of Nature should be simple. Still, Darwin’s theory has been extremely successful in our understanding of a very large range of fields. The idea of natural selection can indeed be applied to a bunch of problems, including why the cultures inhabiting Earth today have so many similarities, or why science loves simplicity! Once again, I consider Darwin’s ideas to be the most brilliant ideas one has ever had. OK, you don’t consider that Charles Darwin necessarily provided the Truth. But you still highly admire him an this theory? Yes! Let’s conclude with this: Darwin made a gigantic breakthrough by conceiving nature as a process in which God did not intervene. This corresponds to science’s most fundamental postulate: causality. In fact, Darwin’s theory seems to be the simplest way of explaining life with the assumption of causality. In the end, that’s what the debate really is about. And this bold postulate has had so much success that science no longer questions it! And Charles Darwin is the one person to thank for this. Does that mean that the evolutionary theory is over? On the contrary! Darwin may have given us a framework but he didn’t have all the answers. Since then, modern research has brought a gigantic amount of answers, which have raised an even greater number of questions. All contributing to a phenomenal advancement of our understanding of life. Does evolutionary theory need a rethink? Nature.